Home renos are all the rage. There are television shows, DIY blogs, YouTube channels, even experts such as “Property Brothers” Jonathan and Drew Scott reaching celebrity status thanks to America’s fascination with home renovations. Growth in the remodeling industry, measured in terms of consumer spending, has risen every single quarter since 2014. Projections for 2017 call for the home improvement and repair market to hit $327 billion, surpassing its previous inflation-adjusted peak from 2006. That’s according to the Leading Indicator of Remodeling Activity (LIRA) tracked by the Joint Center for Housing Studies of Harvard University. 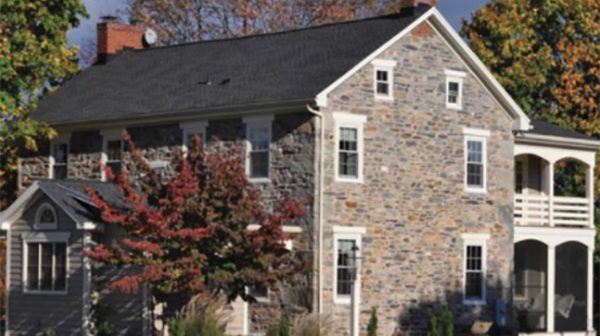 of historic properties, many builders are well-versed in renovating these historic gems, and a treasure trove of resources exists for homeowners. 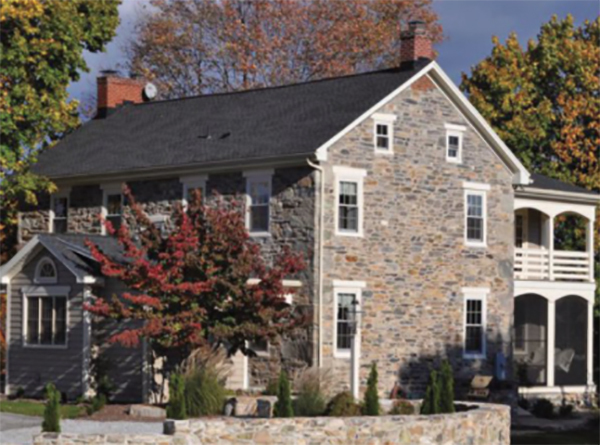 “When you choose an old house, it’s not just the character, the space, the old hardwood floors—it’s about the lifestyle,” says Suzanne Christianson, agent and co-owner of Re/Max of Gettysburg. She knows first-hand—not just as a realtor but as a homeowner who continues to renovate her downtown, circa 1890s, Gettysburg property. In addition to commercial projects, Mark Austin Building is also accomplished in new home construction and home renovations—but all of their work stems from a desire to pursue unique, custom projects. That’s how Josh describes the founding of the company by his father Mark in 1985. Austin says the company generally works on three or four historic home renovations a year. Many of them, like the recent renovation of a Springs Avenue, Gettysburg home, took a year to complete. Schwartz worked alongside the Austin crew nearly every workday; she personally removed all the old wallpaper. Four walls were demolished on the first floor—one of them replaced by columns, another replaced by bookcases, to create an open-concept layout inside the federal-style exterior. Several treasures were found during the renovation: “When we started working on the gas lines, we discovered two cannonballs in the fireplace,” Schwartz recalls. After confirming with an expert that they were inert, she kept them as fun conversation pieces. “I think the idea that you can take an older home and make it alive again…it’s gratifying and people take great pride in ownership,” says Zabawa. She says HGAC has long been recognized for its barn preservation efforts, but the nonprofit is building its reputation and resources for home renovation—mainly in three areas. First, the organization offers a newly-compiled list of resources, called “Artisan Listing,” on their website. “It’s a list of experts in their fields pertaining to restoring a historic home or barn…(which) takes special skills,” Zabawa explains. Secondly, HGAC holds a series of monthly workshops geared toward historic home repairs, “Handy Homeowner Workshops,” from March to September. HGAC’s Architectural Salvage Warehouse is a third resource—a gold mine of historic items donated by area homeowners, such as vintage shutters, windows, doors, hardware, and much more—currently including an old player piano. The warehouse is open by appointment by contacting HGAC; sales benefit the nonprofit. All of the people interviewed for this article have a deep appreciation for historic homes, and many were cultivated back in their childhood memories. Docked in the Navesink River in the town of Red Bank during the school year, her parents—both teachers—would spend summers sailing the yacht up the New England coastline for family vacations. “I lived on a boat my entire childhood through college,” says Zabawa. Loved reading this article. Very interesting & a keeper for my files. Thank you!